Sensing distance: 10 mm. Light source: LED red, green, blue. 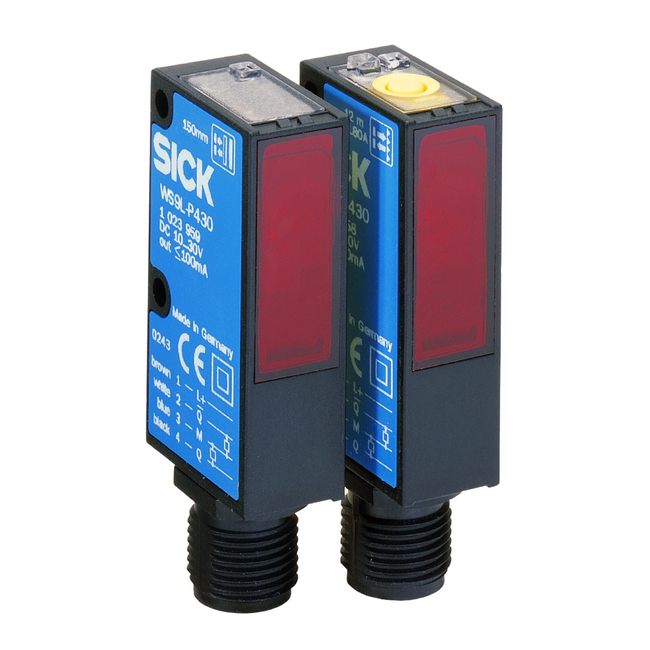 Through-beam photoelectric sensor, Product group W140-2. W9 Laser, Through-beam photoelectric sensor.